The Society of Scholars was created on the recommendation of then President Milton S. Eisenhower and approved by the board of trustees on May 1, 1967. The society — the first of its kind in the nation — inducts former postdoctoral fellows, postdoctoral degree recipients and junior or visiting faculty who have served at least a year at Johns Hopkins and thereafter gained marked distinction elsewhere in their fields of physical, biological, medical, social or engineering sciences or in the humanities, and for whom at least five years have elapsed since their last Johns Hopkins affiliation. The Committee of the Johns Hopkins Society of Scholars, whose members are equally distributed among the academic divisions, elects a limited number of scholars from the candidates nominated by the academic divisions with postdoctoral programs. The scholars elected in 2008 will be invested at a ceremony hosted by Provost Kristina M. Johnson at 5 p.m. on Wednesday, May 21, at Evergreen Museum & Library. At that time, the new members will each receive a certificate and a medallion on a black and gold ribbon to be worn with academic regalia. The induction, which brings to 521 the total number of members in the Johns Hopkins Society of Scholars, will be followed by a dinner hosted by President William R. Brody. The new members will be recognized at Commencement on May 22. The following listing of the 2008 Society of Scholars members includes a short description of their accomplishments at the time of their election to the society. 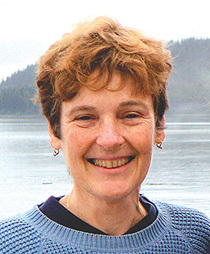 A visiting professor in the Krieger School's Department of Biology in 1980-81, Mary Barkley is now a recognized leader in biophysical chemistry. As the M. Roger Clapp University Professor of Arts and Sciences at Case Western Reserve University, she investigates the structure and dynamics of biological macromolecules, believing that a better understanding of protein function will lead to improved drug therapies. In particular, her research on the flexibility of DNA has led to computation studies and new physical measurements. Barkley's current work on the AIDS and hepatitis C viruses is having a major impact in the field. She has actively participated in the Biophysical Society and has been instrumental in identifying and promoting young scientists and increasing the scientific awareness of government representatives. Now considered a pioneer in the applications of molecular genetics to human disease, Arthur Beaudet was an intern and resident in the School of Medicine's Department of Pediatrics from 1967 to 1969. From there, he has proceeded to develop and lead one of the most successful human genetics programs in the world. His accomplishments include key discoveries in several genetic disorders, including Angelman syndrome, Prader-Willi syndrome and autism. Beaudet's many honors include the March of Dimes/Col. Harland Sanders Award for lifetime achievement in genetic sciences. He is currently the Henry and Emma Meyer Professor and chair of the Department of Human and Molecular Genetics at the Baylor College of Medicine. Lisa A. Carey, Chapel Hill, N.C.
Lisa Carey is an associate professor of medicine and director of the multidisciplinary University of North Carolina Breast Cancer Center. She has worked closely with colleague Charles Perou to harness the power of microarray technology for recognizing and tailoring treatment for molecular subtypes of breast cancer. Carey's study was described in a 2006 Journal of the American Medical Association article, which is one of the highest impact articles on breast cancer and health disparities published to date. She is the principal investigator of a large-scale multi-institutional trial to test new treatments for a basal subtype of breast cancer. From 1990 to 1997, she was a resident in the School of Medicine's Department of Internal Medicine and a fellow in Oncology. 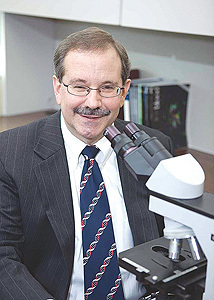 David C. Kaslow, North Wales, Pa.
A fellow in the School of Medicine's Division of Pediatric Genetics from 1984 to 1986, David Kaslow is currently vice president in the Division of Infectious Diseases and Vaccines at Merck Research Laboratories. Driven by his interest in the impact of malaria on global health, Kaslow founded the Malaria Vaccine Development Unit at the National Institutes of Health. He has applied tools originally created for gene therapy to vaccine development. Major contributions include the molecular cloning and characterization of proteins involved in the sexual development of the malaria parasite and development of several malarial vaccines. Kaslow also directed the research and product development that led to clinical trials for vaccines against anthrax, West Nile virus, influenza, HIV and cancer. 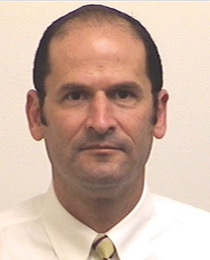 Trained in both medicine and epidemiology, Muin Khoury was an assistant professor in the School of Public Health's Department of Epidemiology in 1986. 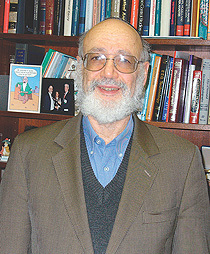 During a distinguished career, Khoury has championed the field of public health genetics and the application of genomics to public health issues. Among the early genetic epidemiologists, he authored one of the first comprehensive textbooks on the subject, Fundamentals of Genetic Epidemiology. Beyond his many substantive research contributions, Khoury has led initiatives on genetics at the Centers for Disease Control and Prevention, serving since 1999 as the founding director of CDC's National Office of Public Health Genomics. He has used his role as a platform to advance the field of public health genetics within CDC and beyond. His accomplishments in this regard include the development of a key series of reviews on the genetics of human disease, the organization of numerous conferences to advance the field and a steady stream of scholarship on the topic, including the book Human Genome Epidemiology. 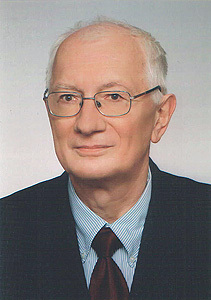 Andrzej Kowalczyk is a major contributor in medical physics whose career was influenced by collaboration with physicians at the Johns Hopkins Medical Institutions. 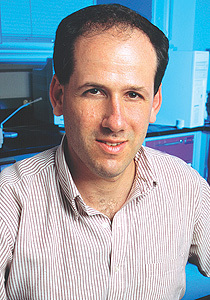 Trained in photophysics, Kowalczyk was a postdoctoral fellow in the Krieger School's Department of Biology in 1980-81. While at Johns Hopkins, he collaborated with colleagues in the School of Medicine to use fluorescence spectroscopy to study respiratory distress syndrome. This experience completely changed the direction of his research efforts. After returning to his native Poland, Kowalczyk became professor of physics at the Nicholas Copernicus University. He subsequently founded and now directs the medical physics group at the university's Institute of Physics. 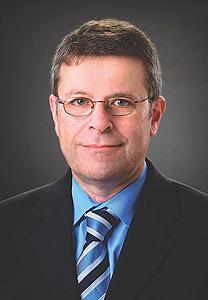 Kowalczyk has developed new optical methods for medical diagnosis, including techniques that use optical coherence tomography in ophthalmology. Pathologist in chief and head of the Department of Pathology at Children's Memorial Hospital in Chicago, Elizabeth Perlman is known internationally for her expertise in pediatric kidney tumors. Her genetic analyses of pediatric germ cell tumors have identified how they differ from adult tumors and have found distinct genetic subgroups within the pediatric primary germ cell tumors originating in the chest. Her ongoing research on pediatric renal tumors has shown that using molecular analyses can result in increasingly precise classification that will affect treatment decisions and outcomes. 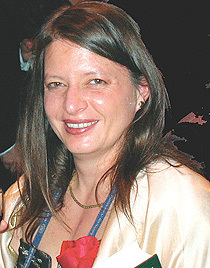 In 1999, the Society of Pediatric Pathology awarded Perlman its Harry B. Neustein Memorial Award in recognition of her research. 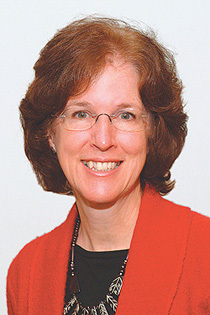 Perlman received her postgraduate training in pathology and laboratory medicine from 1984 to 1990 at Johns Hopkins' School of Medicine. 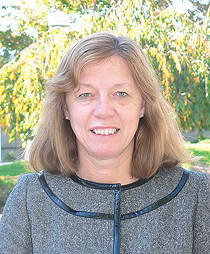 Sally Perreault Darney, Research Triangle Park, N.C.
After completing a postdoctoral fellowship in 1984 in the Division of Reproductive Biology, Department of Population Dynamics, in the School of Public Health, Sally Perreault Darney joined the Environmental Protection Agency's Office of Research and Development. There she was charged with three tasks: to develop a research program to address modes of action of reproductive toxicants on sperm, eggs and fertility; to help craft EPA's Reproductive and Developmental Risk Assessment Guidelines; and to help revise multigenerational test guidelines. 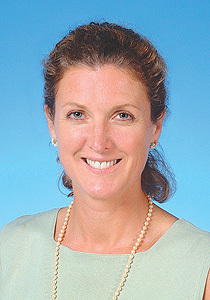 Since that time, she has completed those tasks and more, holding leadership positions of increasing responsibility at the agency, including chief of the Gamete and Early Embryo Biology Branch, director of the Reproductive Toxicology Branch and her current role as acting national program director for human health. Perreault Darney's research program has helped set both national and international research agendas and has had a significant impact on reproductive test guidelines and risk assessment paradigms, with a recent focus on emerging issues that include environmental endocrine disruptors, assessment of complex exposures and extrapolation of data from rodent to human. A research associate in the Kimmel Cancer Center and Howard Hughes Medical Institute from 1995 to 1998, Kornelia Polyak is presently an associate professor of medicine at the Dana-Farber Cancer Institute of the Harvard Medical School. She is at the forefront of studies using genomic approaches to study human breast cancer, with particular emphasis on early-stage disease. She has been a pioneer in developing and applying several new methods to survey the human breast cancer genome, and her lab has identified specific oncogenes and tumor suppressor genes that play a role in breast cancer progression. The recipient of numerous awards, Polyak is especially well-known for her contributions in the interplay between genetic and epigenetic alterations in the tumor and its microenvironment. With a long-standing interest in pediatric tumors, Stephen Qualman is a national authority on the pathology of childhood cancer. His singular contribution to medical research has been the establishment in 1991 of the Biopathology Center of the Cooperative Human Tissue Network. From a small beginning, Qualman's subsequent research convinced the National Cancer Institute of the value of providing pediatric tumor specimens to medical researchers. He has proceeded to develop the premier tumor repository in the country, expanding the center to include the Children's Cancer Group Biopathology Center, the Childhood Survivor Study Pathology Center and, since 2000, seven additional tumor banks. On average, the Biopathology Center annually distributes 15,000 biospecimens to approximately 200 researchers. 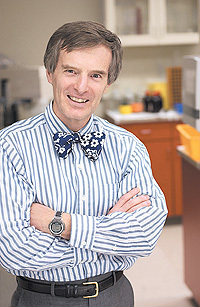 At Johns Hopkins, Qualman was an intern and resident in the School of Medicine's Department of Pathology from 1979 to 1983. Today, he holds the Richard M. and M. Elizabeth Ross Endowed Chair in Pediatric Research and is vice chair of the Pediatric Pathology Branch at the Columbus Children's Research Center. John Joseph Ricotta, Stony Brook, N.Y.
John Ricotta is an internationally and nationally known vascular surgeon who received his postdoctoral medical training in the School of Medicine's Department of Surgery from 1973 to 1980. A true scholar, he is considered a world authority on the treatment of combined carotid and coronary disease and is a leader in the area of carotid stent trials. In his career thus far, Ricotta has trained 24 residents in his research lab as well as 15 vascular surgery fellows. He has been invited as a visiting professor to numerous institutions around the country and has served as president of the Eastern Vascular Society, the Society for Clinical Vascular Surgery and the Western New York Vascular Society. 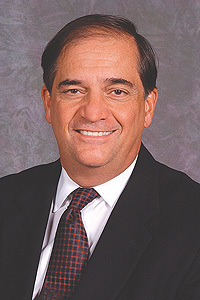 A member of the American Board of Surgery, Ricotta is currently professor and chair of the Department of Surgery and program director of General Surgery at the School of Medicine and Biomedical Sciences at the State University of New York at Stony Brook. Robert A. Rizza, Rochester, Minn. Since completing his internship and residency in the School of Medicine's Department of Medicine in 1976, Robert Rizza has focused his research efforts on investigating glucose metabolism in diabetic and nondiabetic individuals. His work has resulted in groundbreaking scientific contributions, including an increased understanding of how specific hormones, substrates, insulin delivery routes and medical conditions regulate insulin action and glucose metabolism. Rizza has defined the mechanisms the human body uses to defend against and recover from hypoglycemia. He has developed practical approaches and tested the effectiveness of "intensive insulin therapy," now considered by many to be the standard of care for type 1 diabetes, and has also provided new insights into the mechanisms of existing and novel therapies for type 2 diabetes mellitus. His goal is to produce rational, effective methods for preventing and treating diabetes mellitus and its associated complications. 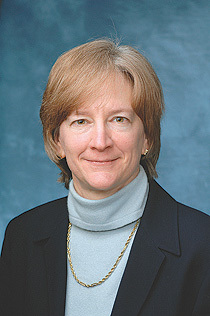 Rizza is the Earl and Annette R. McDonough Professor of Medicine and executive dean and director of research at the Mayo Clinic College of Medicine. After earning a doctorate in neurophysiology, Shlomo Shinnar was an intern, resident and fellow in the Department of Pediatrics and a resident and fellow in the Department of Neurology, both in the School of Medicine. He left Johns Hopkins in 1983 to embark on what would become a distinguished career in epilepsy research. Currently he is a professor of pediatrics, epidemiology and population health and the Hyman Climenko Professor of Neuroscience Research at the Comprehensive Epilepsy Management Center at the Montefiore Medical Center of the Albert Einstein College of Medicine. Shinnar's contributions to the body of knowledge of febrile seizures and pediatric epilepsy have changed our understanding and management of these conditions and set the standard for epidemiologic research in the field. A prolific author and frequent lecturer, he is a leader in the field of pediatric epilepsy, and at the Child Neurology Society and the Epilepsy Branch of the National Institutes of Health. The American Epilepsy Society has honored his substantial work with its Research Recognition Award. Peter S. Ungar, Fayetteville, Ark. A young scholar who was a postdoctoral fellow in the School of Medicine's Department of Cell Biology and Anatomy in 1992-93, Peter Ungar has already established himself as one of the top physical anthropologists in the world. Now a professor of anthropology at the University of Arkansas, he has done paleontological fieldwork on virtually every continent. He has also studied primate behavior and ecology in Central and South America and Indonesia. Ungar's research efforts are focused on an improved understanding of the behavior of our earliest ancestors. To make this possible, he has pushed data analyses to new levels, using techniques such as GIS analysis to plot fossil sites in 3-D and creating new technologies, including the combination of scanning confocal microscopy and fractal analysis, to gain critical insights into the origins and evolution of human diet. In the process, Ungar has tested the assumptions underlying present-day fossil interpretations and has revolutionized our understanding of the mechanisms of human evolution. Teresa Lyn Wright, Pleasanton, Calif.
A noted expert on liver disease and viral hepatitis, Teresa Wright is chief medical officer and vice president of Roche Molecular Systems. 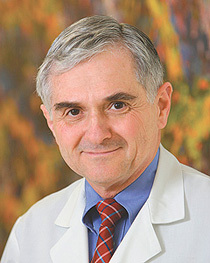 As professor of medicine at the University of California, San Francisco and chief of the Gastroenterology Section at the San Francisco Veterans Administration Center, Wright was one of the first physicians to alert the medical community to the problem of hepatitis C infection among liver transplant patients and individuals with HIV. In recognition of her considerable achievements, she was elected to the Association of American Physicians in 2002. In that same year, Prince Andrew made her an officer in the Order of the British Empire for "her brilliant research in pioneering therapies that have saved hundreds of lives." In 2005, she was president of the American Association for the Study of Liver Diseases. Wright was an intern and resident in the School of Medicine's Department of Medicine from 1979 to 1982. GO TO MAY 19, 2008 TABLE OF CONTENTS.